Unquestionably the holiday album by which all other holiday albums are judged, A Christmas Gift For You From Philles Records (later re-released under alternate titles) is a bona fide Christmas classic. 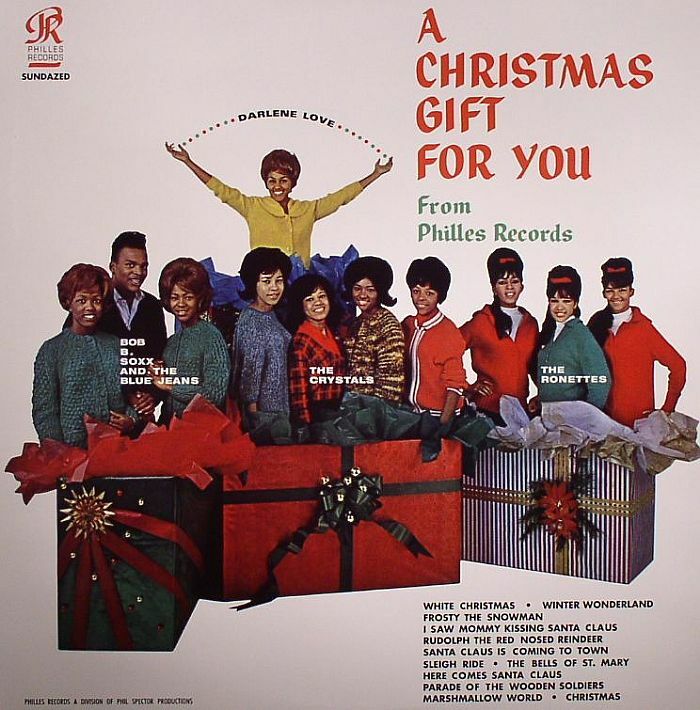 Gathering up frequent collaborators including the Crystals and the Ronettes, Phil Spector intended this record to work as both a compilation of Christmas songs and as a pop album that stands on its own, and it succeeds marvelously on both counts. The key to the record’s brilliance lies in both Spector’s patented Wall of Sound production—arguably, this is its finest hour—and the vocalists’ performances, which are exceptional throughout. Many of Spector’s arrangements have become standards, and rightfully so: The songs are both joyful and exhilarating, such as when the Ronettes’ chime in with “ring-a-ling-a-ling-a-ding-dong-ding” on “Sleigh Ride,” or when the drums thunder in after the refrain on “Santa Claus Is Coming To Town.” And if the musicality of the covers wasn’t impressive enough, the sole original song on here may just be the highlight of the record. Darlene Love belts out “Christmas (Baby Please Come Home)” with heartwrenching emotion as the musicians (especially Leon Russell on piano) play on behind her, capturing the Christmas spirit and transcending its trappings as a holiday track all at once, much like A Christmas Gift For You itself.